Christmas is around the Corner, and what better way to celebrate it, than with my newest Christmas item: Tangram Animated Christmas Card ! Welcome Summer! We missed you! So the time for hot beaches and refreshing water is here and nothing better to celebrate this new Season than this set of Summer Animated Banners for your Hot Summer Sales! These Animated banners stand out from the dull static banners used all over the net. See a live preview here! So, hurry up and start marketing your sales in style! 3 HTML5 Animations Designed in Adobe Edge Animate! With a base format of 300×250 px, and it featuring a RESPONSIVE WIDTH, it automatically adjusts to any width you need. It features 8 different animated screens with Text and Icons. The Icons are All Custom Designed Flat Icons in Vector Web format – SVG! With a base format of 800×300 px, and it featuring a FULLY RESPONSIVE ADAPTIVE LAYOUT, it automatically adjusts to ANY width or height you need. This is the perfect Logo Opener, for presenting and promoting your Logo in a Classy Style. It can be used as a web header, web banner, landing page, etc. With a base format of 800×300 px, and featuring a FULLY RESPONSIVE ADAPTIVE LAYOUT, it automatically adjusts to ANY width or height you need. All elements instantly distribute and adjust to the width and/or height you want, always looking their best! This is the perfect Logo Opener, for presenting and promoting your Logo in a Flashy Movie Style, including background animated stars and flashes. 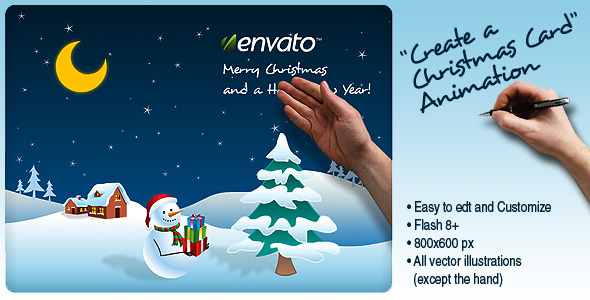 Create a Xmas Card Flash Animation on Top Sellers! As we come closer to Christmas, I am happy to say that my Create a Christmas Card Animation is on Activeden’s last week top sellers! 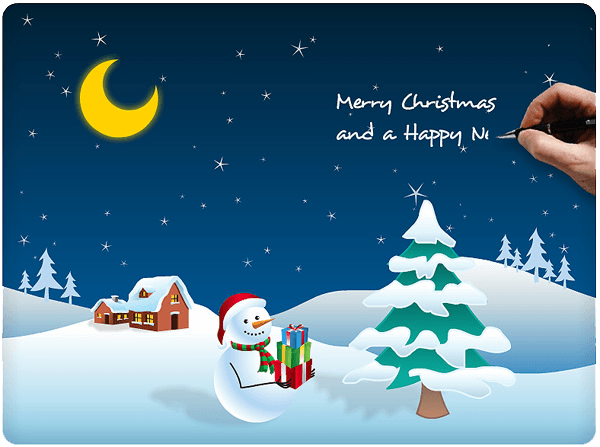 This is an animated Christmas Card, great for business or personal use. Very simple and easy to use or edit. 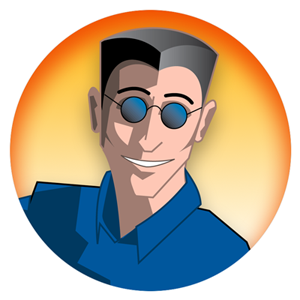 It uses all vector illustrations, except the hands that are PNGs. It uses a free font with all editable text. So Check it out and Merry Christmas everyone!!! These banners were created in the new Application from Adobe – Adobe Edge Animate. This software can create smooth animations in HTML5 which are compatible with all browsers, smartphones and tablets! These are sets of professional designed and animated banners in the 3 most used web banner formats: Medium Rectangle, Horizontal Leaderboard and Vertical Skyscraper. This essential web banner set is perfect for promoting and selling your Business or Product. They are very easy to customize to your needs, with ALL text editable, well named and organized elements and layers. On each page of the banners there is a link for you to see a live preview! So as we enter December, Christmas seems closer and closer. So to celebrate this wonderful season, i send in some snow here in the blog, to help the mood! Also i am happy to say that my “Santa Claus Christmas Set” that you see above just got its 100th sale – and in the best time of the year to do so! 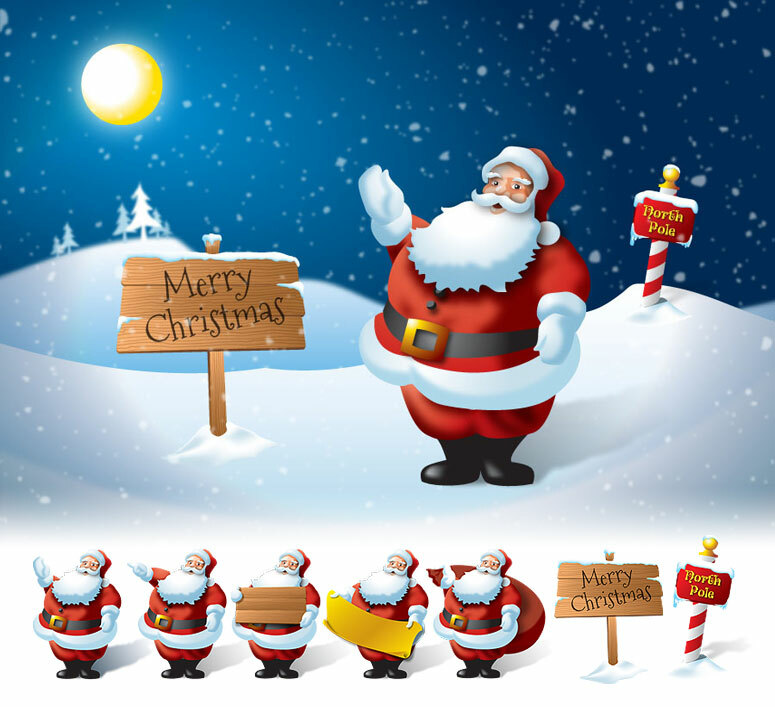 … And Merry Christmas Everyone! I have been working in flash for some years now, so i decided to create a Christmas Card Animation for my first item on ActiveDen Market – a specialized market for Flash projects! Snowman Christmas Vector Set), and PNGs for the hands. It also uses a free font with all editable text. Show check it out and see if you like it! P.S. Only a few days after approval and this Christmas Card is already on “Last Week Week’s Top Flash Sellers” – Thanks everyone!